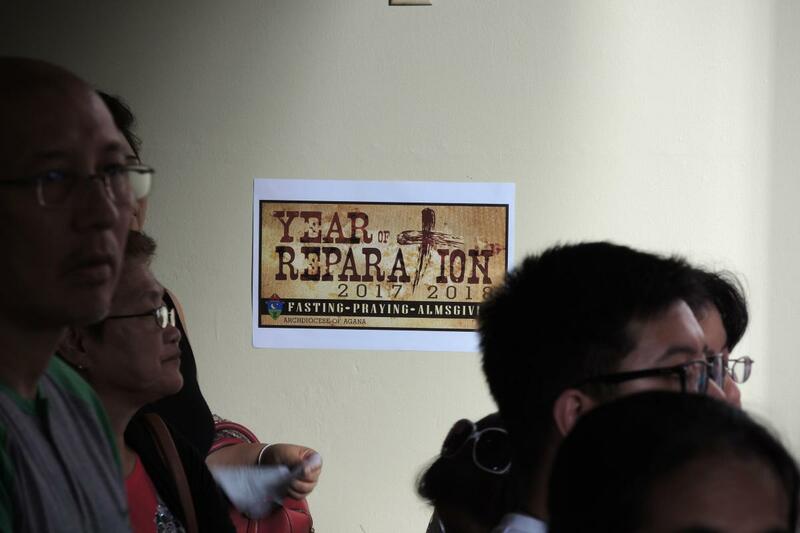 During 2017, the period of this research, the Church in Guam was in turmoil. Archbishop Anthony Apuron, the island’s second Chamorro Catholic bishop, was under canonical investigation over four child abuse allegations by former altar servers. He denied the allegations and refused to resign, but Pope Francis had placed him on leave while an investigation took place. Later that year a new coadjutor archbishop, a non-Guamanian American from Detroit, was appointed, though the trial of Apuron was not complete. There have been nearly 150 accusations of abuse against 14 priests, including one who has nearly 100 claims against him, and in March 2017 a group of concerned Catholics was marching at the cathedral daily. The Church is said to face more than $500 million in legal claims, and the seminary has already been closed to be sold. Following these research visits, Archbishop Apuron’s nephew accused the archbishop of sexual abusing him. The new archbishop declared 2017-2018 a “year of reparation.” In March 2018, a Vatican tribunal deemed Apuron guilty of “certain of the accusations” and ordered that he surrender the office of bishop and leave Guam. Apuron appealed the ruling. In April 2019, the Vatican issued a final appeal against him, which stripped him of his right to present him as a bishop, and ruled that he should not return under any circumstance to Guam. The crisis is linked to, or perhaps parallels, a separate crisis over the ascendance of the Neocatechumenal Way, a global, lay Catholic movement that operates in many parishes on the island. Archbishop Apurion and a number of priests had become part of the movement, and the diocesan seminary had even been given over to the movement for training some of its members as priests. The movement does not seem to have been directly responsible for sexual abuse, but the backlash over the “Neos” as they are commonly called, is said to have started all sorts of lay investigations that uncovered the sexual abuse. It may have helped to open the door both to people’s willingness to air charges of abuse, and certainly affected people’s willingness to listen to them. Interviewees seemed a bit exhausted by the Neo scandal and hesitant to address it in depth. Asked about the difference between Neo practice and ordinary Catholic life there, many cited when and how they said Mass — separately from the rest of the parish, on Saturday, and informally, sitting in a circle, and at Communion time all holding the Host and waiting to consuming it together at once. Others referred to a practice of public confession. This certainly violated a powerful cultural norm, as did the Neos’ “born again” habits “embracing your sinfulness, confessing it in public and wearing it like a badge.” People seemed willing to let go of these differences, but most said they were angry at how the group was “taking over” parishes and excluding those who did not join the Neos from full parish life. Archbishop Apurion was blamed by interviewees who would speak about the Neos for “giving away” the archdiocese. “Every decision [at the diocesan level] seemed to be made for the benefit of the Neos” said one man. The Neos from Latin America and Europe “were strutting like they owned the place,” said another. Priests who did not support the movement in their parishes were said to have been removed for it. Not all interviewees were against the Neos. One interviewee, a Chuukese woman, spoke of how it had really restored her faith, “before the whole thing exploded… It brought me back to the Church… I’m always thankful for that… We just went there and our faith was so deep and a lot of people with disabilities got cured. Cancer got cured. And when we had our prayer meetings… twice a week we got together, on Saturday night, and then on Sunday they would go to their parish church with their husbands and kids. We shared. We shared.” Since then, people regularly asked her about it, and she could only tell them that she experienced no division in it, but also made clear in the interview that she was demoralized by it. One interviewee did say, “Here the [Chamorro] culture is to cover problems, not to advertise them.” But that could accurately have been said of the Irish, but the attitude toward human frailty and its connection to faith was different. Interviewees were saddened by what was being uncovered, and reported that it is a topic of regular conversation. No one expressed doubt in that the great majority of victims were speaking the truth, even if there was hesitation over the fact that lawyers and huge financial sums were being sought in settlements. But most said that their faith was theirs, and that it was their faith, not the bishop’s actions, that was paramount to them. He sees the same number of people in church since the abuse crisis happened. Attendance is diminished over the years, he said, but for different reasons. Some interviewees described the faith, and the family connections that support it, as being so important that they could never imagine leaving. No sooner did they say so then they admitted that family members had left. But they ascribed this to shortcomings at the parish level to meet people’s needs, whether they left for a stronger sense of community and prayer, or for a desire for a firmer biblical connection. All interviewees saw some diminishment of the Catholic Church’s influence, and predicted this to continue as a slow, continuing process in the future, as numbers of priests and sisters declined, as the state became more independent, as the abuse crisis diminished credibility. Aldo reported that while responsibility for his own children made him want to go to church and to be a faithful man, it’s harder than he’d imagined to get his young adult daughter to go. “She wants to go to the mall instead.” It’s about some shift that she may grow out of, he hopes, but he does worry that what she decides will be determined in too large a part by a shifting culture, abuse crisis or not. 1. The website, Junglewatch.info, has been controversial, and attracts a large audience. All interviewees knew of it, but many said that they found it too polemical and just couldn’t look at it anymore.